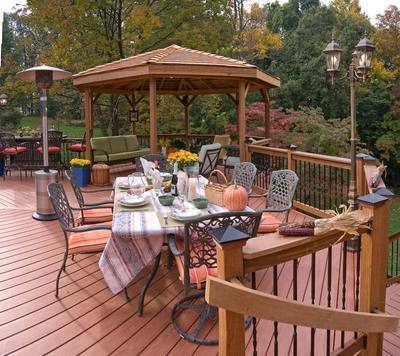 Archadeck of Central SC explores the top 5 ways to make 2014 the year to improve your outdoor living space! 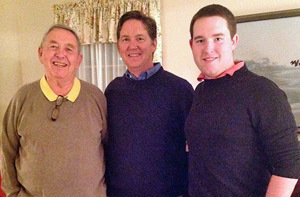 A New Year signifies a time for change and renewal. When you think of the term “resolution,” you usually think of it as following through with an act of self-improvement. 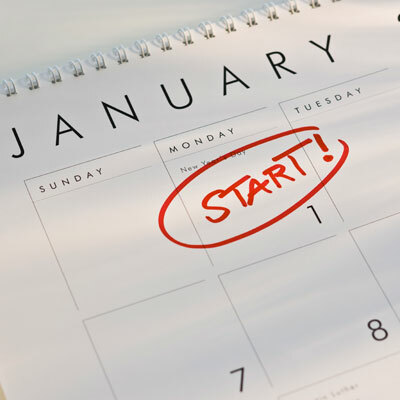 Let’s face it, resolutions are made with the best intentions – some are successful and some wane early on. Why not make this year different by resolving to improve the lifestyle of your entire family and add value to your home at the same time? 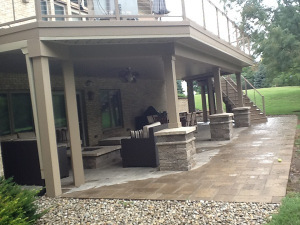 Why not resolve to improve your outdoor living space? Now is the time to get started if you want your improvements by spring. 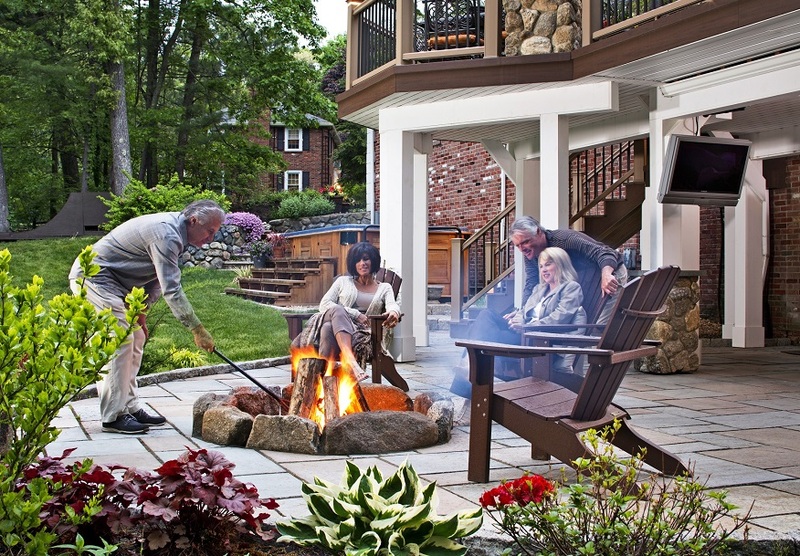 There are many benefits associated with choosing to move ahead with your intended project rather than waiting until the outdoor living season has begun. These include shorter wait times, saving money on materials, less interruption to your lawn, landscape and lifestyle. The largest benefit, inevitably, is being able to have your outdoor space operational in time for the warmer months ahead! 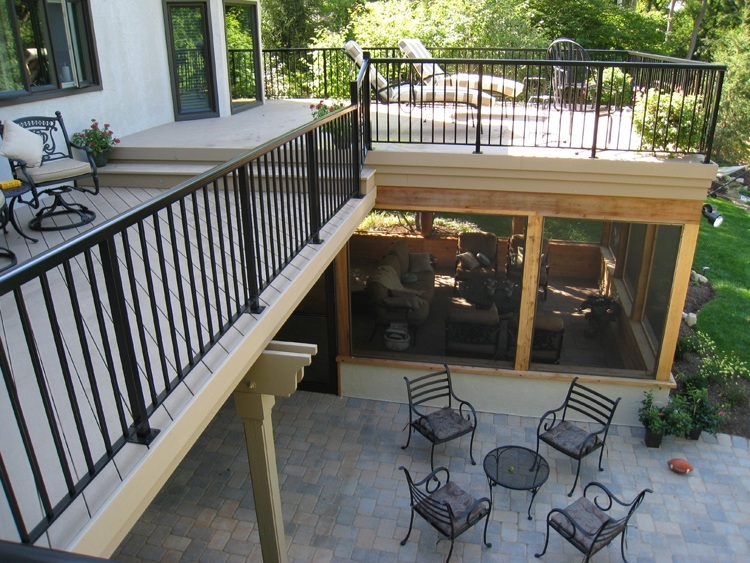 While many people realize that there are benefits to having a great outdoor living space, they may not be sure how to take what they have and transform it into their ideal space. 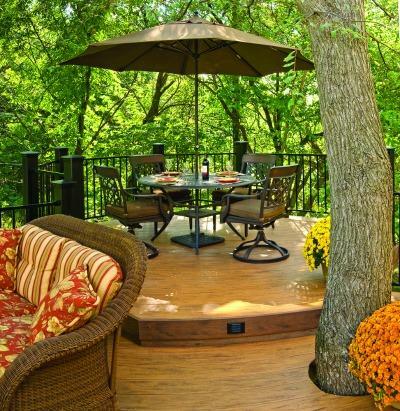 Archadeck of Central SC has put together a list of the five best ways to improve your outdoor living space for 2014. 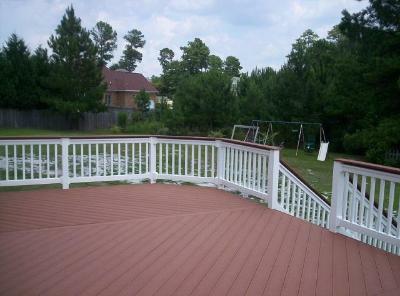 This composite deck in Lexington, SC, is a true gem! 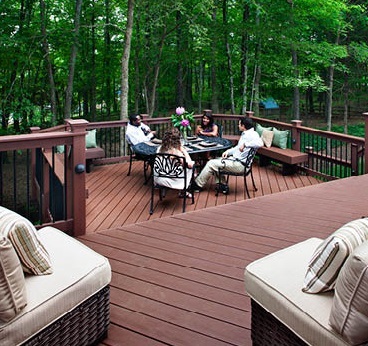 #1) Transform your deck space – Decks still remain the epicenter of outdoor living for the backyard. 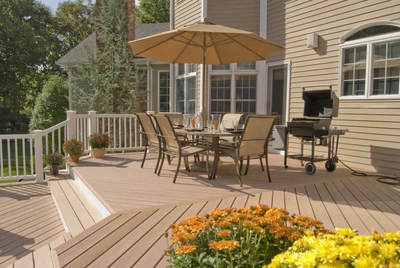 If you have an existing deck in need of an upgrade or your backyard is a blank canvas yearning for inspiration, now is the time to act to ensure your space is warm-weather ready for the outdoor living season ahead! 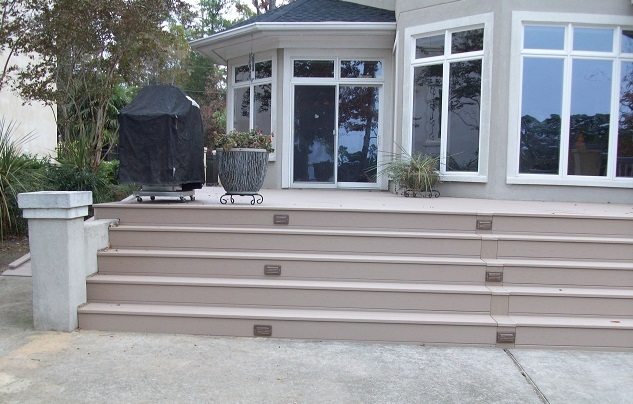 Maybe you are seeking a way to turn your aging low-aesthetic, high-maintenance wooden deck into a high-aesthetic, low-maintenance deck by re-decking with one of the many quality composites on the market. 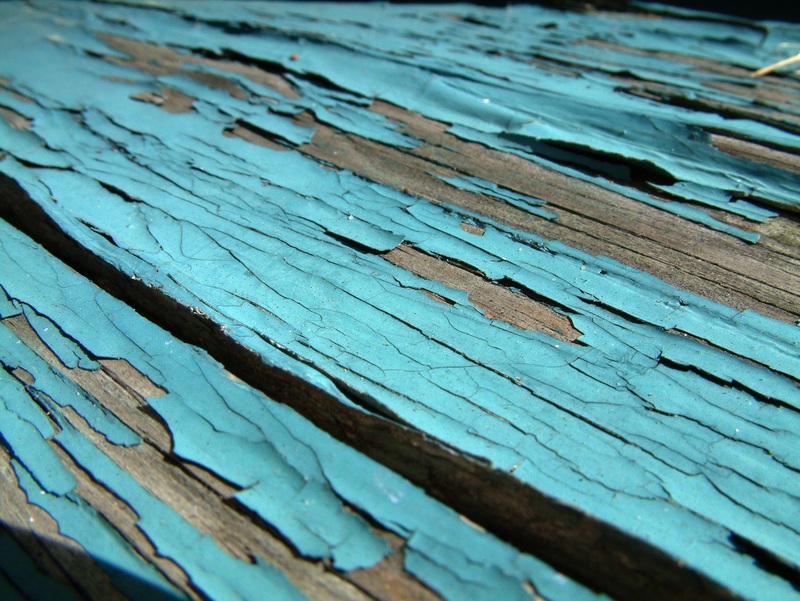 Maybe you are ready to expand an existing deck. Whatever the reason, now is the season to change. 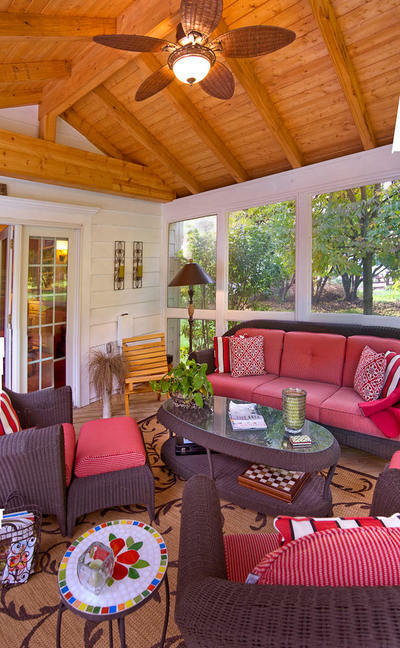 This sunroom sitting area functions as a secondary living room. #3) Turn up the heat by adding an outdoor fire feature – Outdoor fireplaces and fire pits are very popular in outdoor living design. They have proven to be more than a trend. 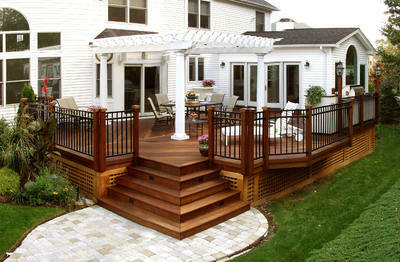 Not only do serve as a focal point of beauty, they will also add hours of enjoyment to your backyard. Outdoor fire features work great in conjunction with patios, porches, and outdoor room additions such as sunrooms, and 3 & 4 season rooms. 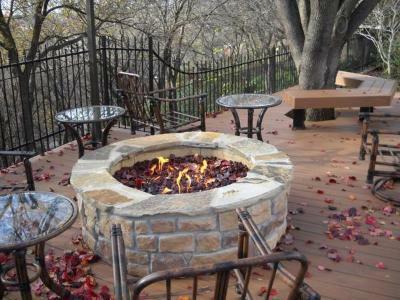 An outdoor fire feature exudes ambiance and is worth the investment. 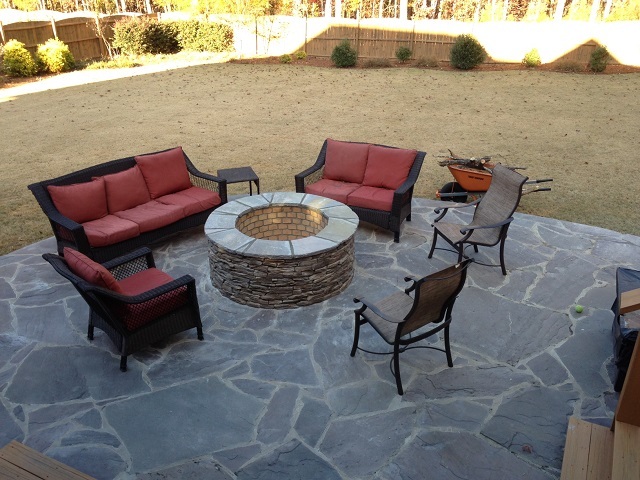 Our most recent fire pit addition is this stunning stone fire pit integrated into an existing patio in Columbia,SC. #4) Outdoor Kitchens – Who doesn’t enjoy dining outdoors? We dine outdoors and throw dinner parties on the deck, and so why not kick it up a notch this year? Outdoor kitchens are becoming more commonplace in outdoor design. What was once a space for backyard grilling has evolved into a whole outdoor, gourmet kitchen. Outdoor kitchens can be designed to include ovens, warming drawers, smokers, refrigerators, ice machines and even the kitchen sink! No more running in and out from the grill to the fridge. No more lugging a cooler out and back in. The great outdoors with all the convenience of a modern kitchen! 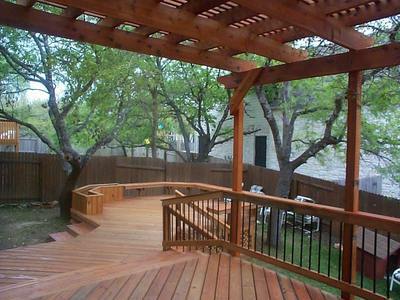 This Central SC custom deck features a pergola and built-in seating. 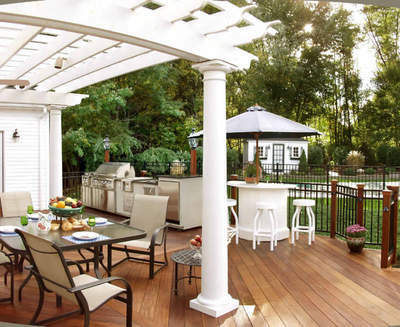 #5) Top it off with a pergola – Pergolas simply look good in any setting. They can be used to flank a spa or outdoor kitchen, provide shade to a sunny space, add privacy or depth and help define a deck or patio. 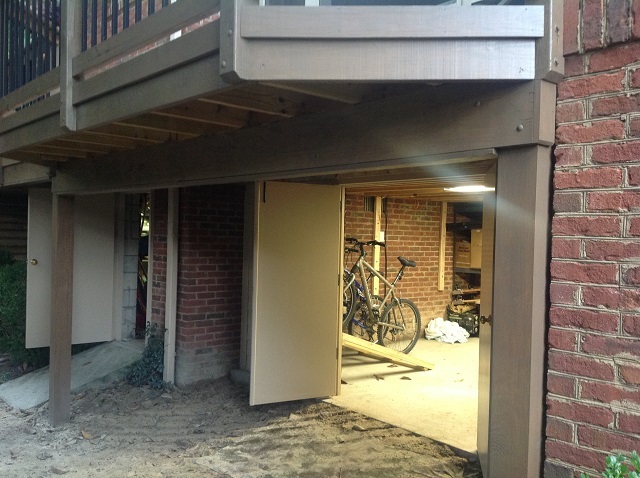 Pergola additions come with many benefits other than just the obvious aesthetic value they provide. 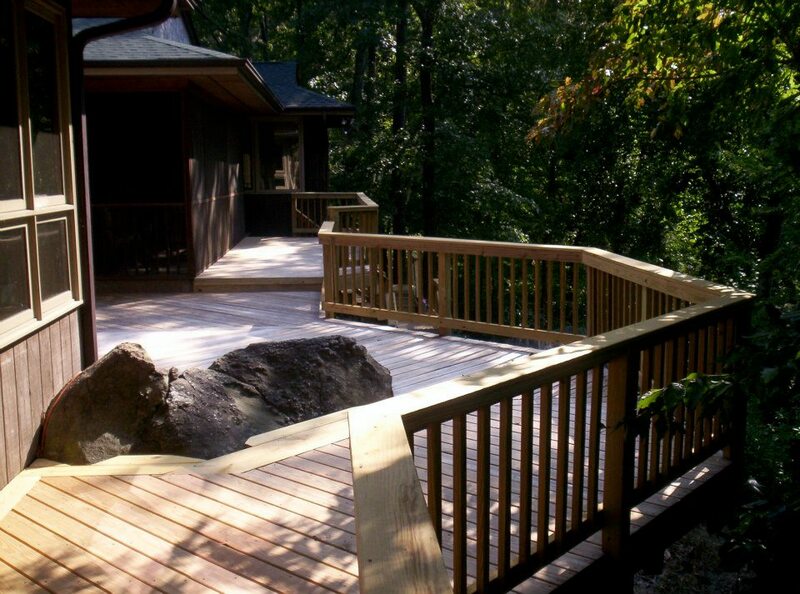 No matter which outdoor living space best suits your needs, Archadeck of Central SC can plan, design and build a structure, or combination of structures, that is sure to make 2014 the best year ever. Our outdoor spaces are designed with a keen eye for the holistic way you view your backyard with the goal of creating an outdoor escape. 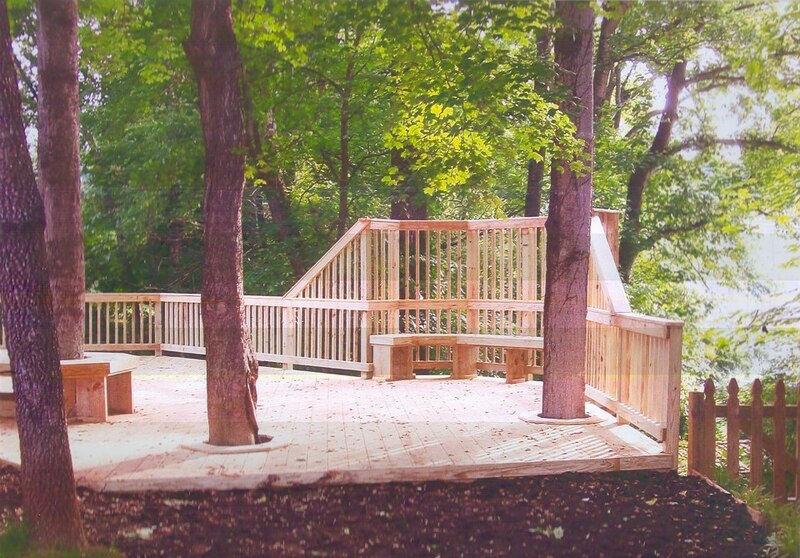 We strive to bring a modern approach to outdoor structures steeped in the quality craftsmanship of a by-gone era. We specialize in creating unforgettable outdoor structures with attention to the smallest details and quality you can see and feel! This entry was posted in Custom pergola designs, Decks, Entertaining, Outdoor fireplace and fire pits, Outdoor Kitchens, Outdoor Living, Outdoor Rooms and tagged Archadeck of Central SC, Archadeck of Central South Carolina, Central SC combination outdoor living spaces, Central SC deck and porch outdoor living combinations, Central SC deck builder, Central SC deck designs, Central SC outdoor rooms, Central SC patio builder, Central SC pergola builder, Central SC porch builder, Columbia SC Composite Decks, Columbia SC deck and porch builder, Columbia SC four season room builder, Columbia SC outdoor fireplaces and fire pits, Columbia SC outdoor living, Columbia SC Porch Builder, Columbia SC redecking experts, Columbia SC screened porches, Columbia SC wooden decks, Creating the perfect Columbia backyard, Making your Columbia SC dream backyard a reality on January 8, 2014 by archadeckofcentralsc.